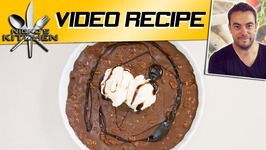 In this video Ill be dishing up a little bit of advice on the key ingredients that go into starting your own business, whilst making a Gooey Chocolate Ice Cream Cake Sundae! 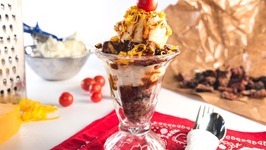 A delicious, barbecued, take on a traditional ice cream sundae, made with tender burnt ends, tangy barbecue sauce, and creamy mashed potatoes! 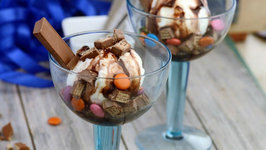 Nuts, Nutella, ice-cream, brownie, name what you like and you will find it in this Brownie Sundae! 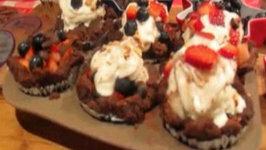 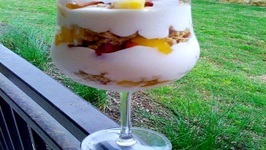 With readily available ingredients, this dessert can be prepared in .. 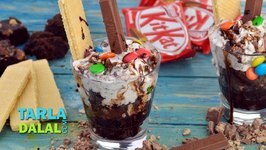 Chocolaty, chocolaty, chocolaty what better word can there be to describe this Quick Kit-Kat Ice-Cream Sundae? 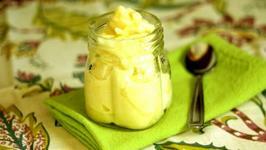 Luscious Kit-Kat loaded vanilla ice-cream is placed over a ..
Betty demonstrates how to make Rhubarb Sundaes. 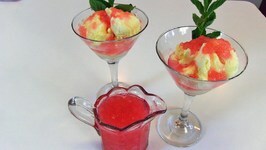 This recipe contains directions for making Rhubarb Sauce, which can be poured over vanilla ice cream for a delicious dessert. 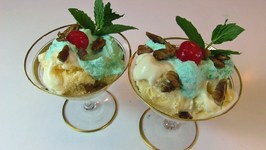 Betty demonstrates how to make Whisky Sundaes for Derby Day in Kentucky (May 7, 2016). 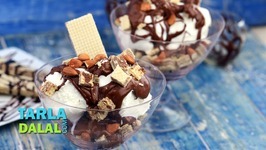 These sundaes can be used as a dessert or as a drink. 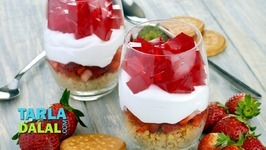 Served in a transparent glass, this Layered Strawberry Sundae is so attractive, you will be tempted to skip the Main Course and go straight for it! 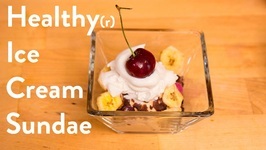 The best part is that ..
Quick and easy dessert you can enjoy! 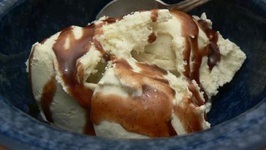 Can you resist the aroma, let alone the sight of chocolate fudge sauce rich with the flavors of chocolate, honey and vanilla ice-cream. 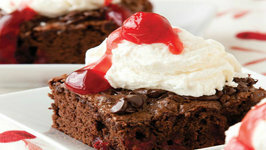 Rich, chocolatey brownies pair perfectly with sweet cherries in this super simple Black Forest Brownie Sundae recipe! 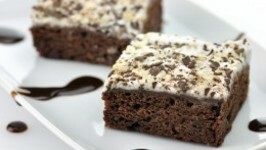 A delicious chocolate dessert bar, using brownie mix, chocolate chips and Solo marshmallow creme.